We celebrate the resurrection of Christ at Easter, the greatest moment in history, where death was defeated and the kingdom of God broke into our world. The motif of resurrection has played a prominent role in so many of our beloved narratives, from classic Greek tales and epics to the current comic book and superhero blockbusters. Consider this a list of unconventional Easter films. I've not included Jesus films for this particular list. Nor am I considering zombie or vampire films as depictions of resurrection (those are more like "depraved resuscitation"). Neither am I including the fairy tales of Disney's princess films, where true love's kiss awakens the slumbering heroine, like Sleeping Beauty or Snow White. I'm also not counting reincarnation or rebirth as resurrection, so films like 2001: A Space Odyssey or The Fountain, which feature a death and rebirth of a character, aren't listed. Finally, I'm not including films about redemption, i.e.stories with spiritual or metaphysical death-and-resurrection arc, where characters undergo a remarkable personal transformation or experience a "comeback" in their career or relationships. Instead, these are films where resurrection--a literal death and a physical resurrection--play key roles within the plot. As resurrection is often the climactic moment of the film, there is a spoiler alert for this list. Including a film here implies that resurrection happens and death is not the end. Here they are, in chronological order: 5 great resurrection films for resurrection Sunday. When the alien Klaatu arrives and tells the people of Earth they need to act peaceably, they (of course) shoot him. Twice. The second time is more effective, and Klaatu (aka "Mr. Carpenter") is killed. 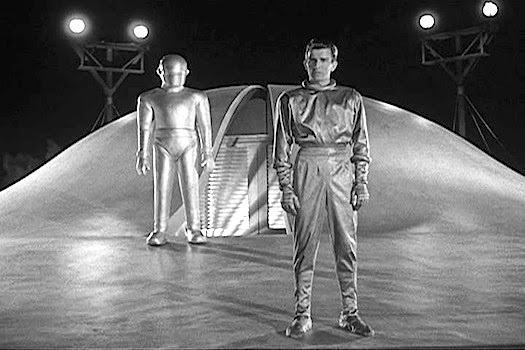 He is resurrected by his robot protector, Gort, and leaves the earth with an exhortation that they embrace peace rather than violence. An all-powerful outsider coming to earth to bring a message of peace and love, only to be betrayed and killed by humans, then subsequently resurrected? Sounds like a potential Christ figure to me. 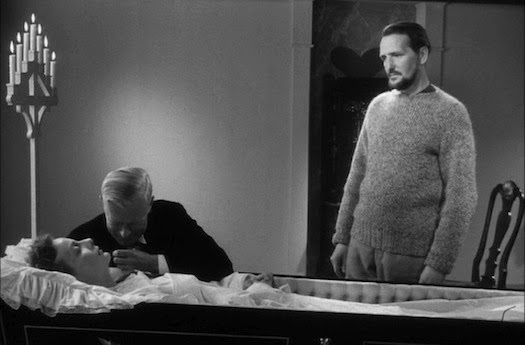 Dreyer made masterful filmic parables, and Ordet is one of his finest films. An elderly father with a fundamentalist Christian belief has three sons. One is an agnostic; one is in love; and one is possibly insane due to reading too much Kierkegaard, thus believing himself to be Jesus. The wife of the faithless son is pregnant, but becomes ill and dies, leaving the family in deep sorrow and grief. In the midst of the funeral service, the crazy brother shows up and declares that the woman will rise again, if only they would have faith. In a miraculous and affecting scene, the woman stirs and comes back to life, to the praise of everyone. Her death and resurrection have a profound affect on all the relationships within the family, transforming everyone who witnesses the event. Yes, I know these are *two* films. Both of these films need to be included to encompass the theme of resurrection. The final moments in Wrath of Khan end in the death of Spock, the stoic and capable Vulcan portrayed by the late Leonard Nimoy. 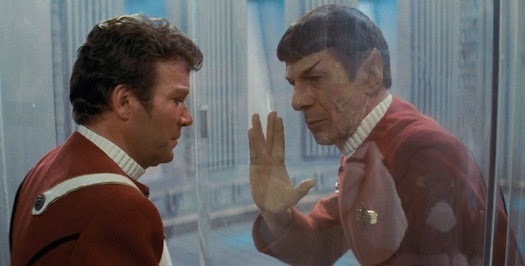 I've read that Nimoy wanted to resurrect the character so much he ended up in the director's chair for Search for Spock, which centers on the Enterprise team attempting to reunite Spock's spirit with his body. It's interesting to note the dichotomy between soul and body, and how the resulting resurrection of Spock can only occur when the two are affixed. Wrath of Khan is arguably the best Star Trek film made yet, and Search for Spock is a capable companion to its predecessor. A giant alien robot befriends a boy in rural Maine during the Cold War era. The iron giant has weaponized capabilities, but he doesn’t want to use his powers for hurting others any more. When the American military decides the iron giant is a threat, they end up firing a nuclear missile to destroy him, but mistakenly target their own location in an act of self-destruction. The giant chooses to forgo his weapons and flies directly into the oncoming bomb, sacrificing himself for the very people who just tried to destroy him. In the final scene, the iron giant’s various parts begin to gather as the giant is resurrected. 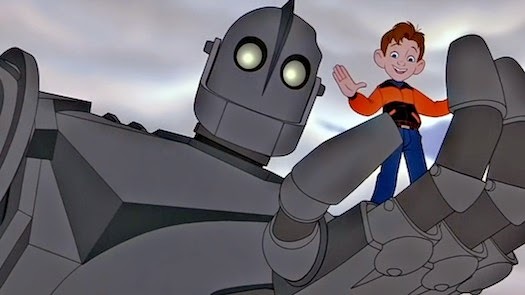 The Iron Giant remains one of my favorite films, and perhaps one of the better on-screen Christ allegories. The Tree of Life is an epic spiritual mediation on the nature of God, the cosmos, and our tiny-but-significant part to play in the vast narrative of creation. Focused on a family of three boys in Texas, the film's scope encompasses all of existence and history, from the beginning moments of creation to the resurrection and entrance into the kingdom of God, when all things will be made new. The scenes of resurrection where people wandering on a beach are reunited with loved ones are quiet and slow--some might even say they're boring--but I view them as contemplative and peaceful. 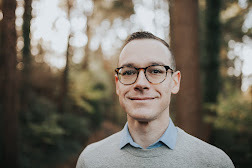 In Christian theology, our future resurrection carries significant weight, because death is not the end in this larger story. 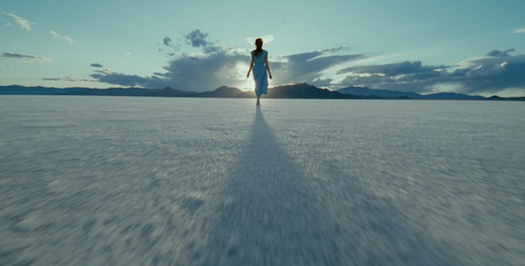 The Tree of Life captures this theological reality in beautiful, cathartic ways. What movies should I have included on the list? Share your favorite resurrection films in the comments!